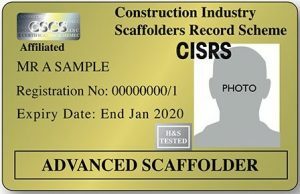 A CISRS Card is the skills card needed to work in scaffold systems. What is a CISRS Card? 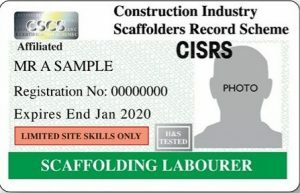 The CISRS Card gets its name from the training scheme Construction Industry Scaffolders Record Scheme. CISRS is the UK’s industry recognised scheme for scaffold training, CISRS provide a range of skills cards for those in different scaffolding related roles. This card is designed for site operatives and labourers who work on scaffolding operations. If you hold this card; you are not permitted to work from anywhere other than a safe and secure place such as a solid floor or fully erected scaffold surface. You are also not allowed to put up, take down or alter scaffolding. The card is valid for 5 years and can only be obtained by taking the CITB Health, Safety & Environment Test and COTS within 2 years. The Basic Access System Erector Card is supplied to workers who are not scaffolders but do make alterations to scaffolding in their work with a specific scaffold system product. The card is assigned to these workers whilst they are completing their BASE training. The structures that these specific workers are allowed to work on have strict limitations. To obtain this CISRS Card you must complete the 5 day BASE course and your CITB Health, Safety & Environment Test within two years of applying. 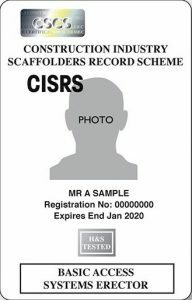 The Trainee Card is required for those who need a skills card whilst they are undertaking training to get their CISRS Scaffolder Card. Whilst holding this card, you can only conduct your work under direct supervision from a more qualified worker. 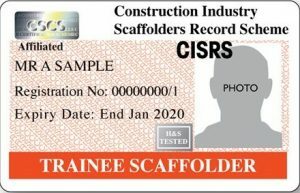 On completion of the relevant CISRS training (see above); you can then apply for your CISRS Scaffolder Card. With this card, you are seen as qualified enough to conduct scaffold operations and lead a team in basic scaffold operations. The card has a lifespan of 5 years before it requires renewal. 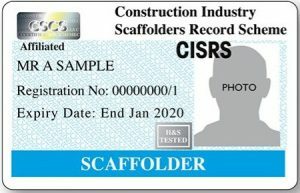 Before applying for the Advanced Scaffolder Card you must have been a CISRS Scaffolder for at least a year. By obtaining the card you will competent enough to lead a gang in all forms of scaffold operations. 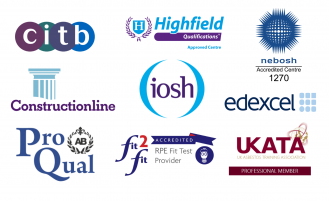 To obtain the card you need to have passed the CITB Health, Safety & Environment Test, an NVQ Level 3 in your occupation, the CISRS 2 Day Skills Test and have passed the Advanced Scaffolding Inspection Course. Which Skills Card Is Right For Me? For more information on other construction industry skills cards; take a look at our informative guide here.